Our homeowners association had a celebration at the clubhouse today. They had TK Burgers (a food truck) furnish the burgers (which included veggie burgers). And everyone brought food to share. We started with a patriotic parade. 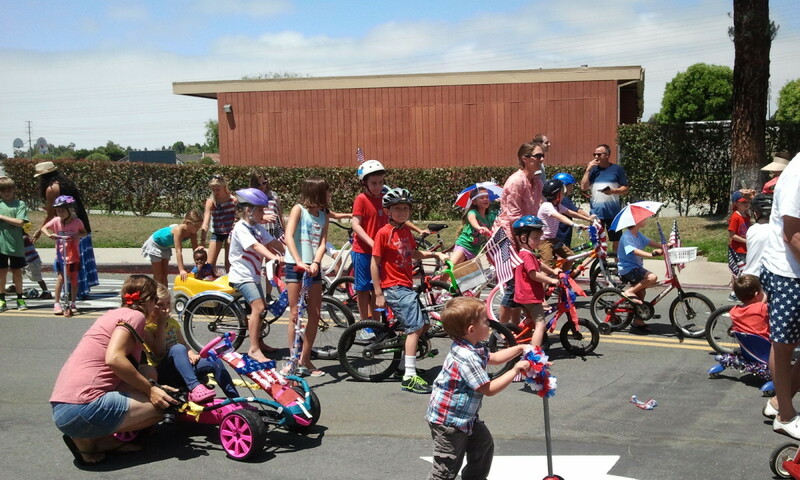 Josiah rode his decorated bike. 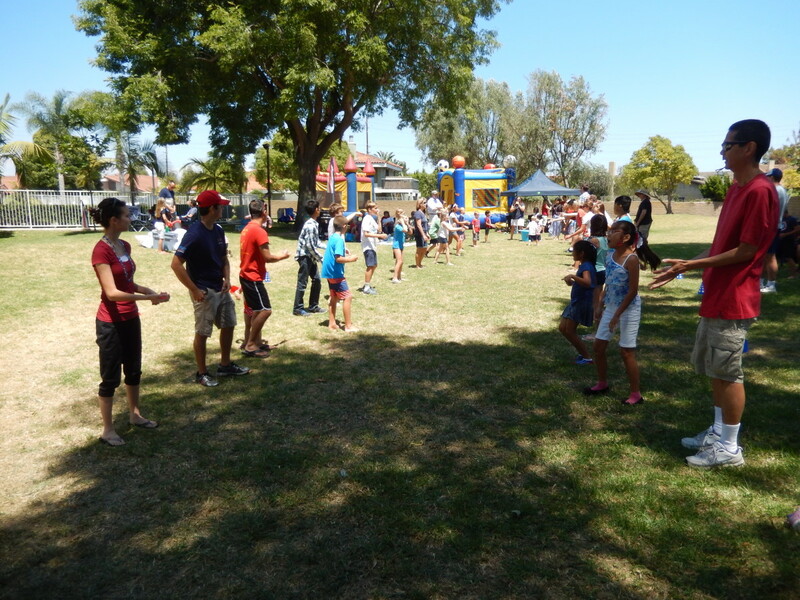 They had several games (sack race, ping-pong-ball/spoon race, and balloon toss), someone made balloon creations, and two bounce houses. The weather was nice (of course)…sunny and temps in the low 70s. With the breeze coming from the ocean, it would get cool in the shade. Here are some pictures. Josiah in the Fourth of July Parade. 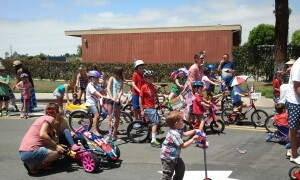 Josiah is in the center of the picture wearing a red shirt and sitting on a bike with green handle bars. Click photo for full size. 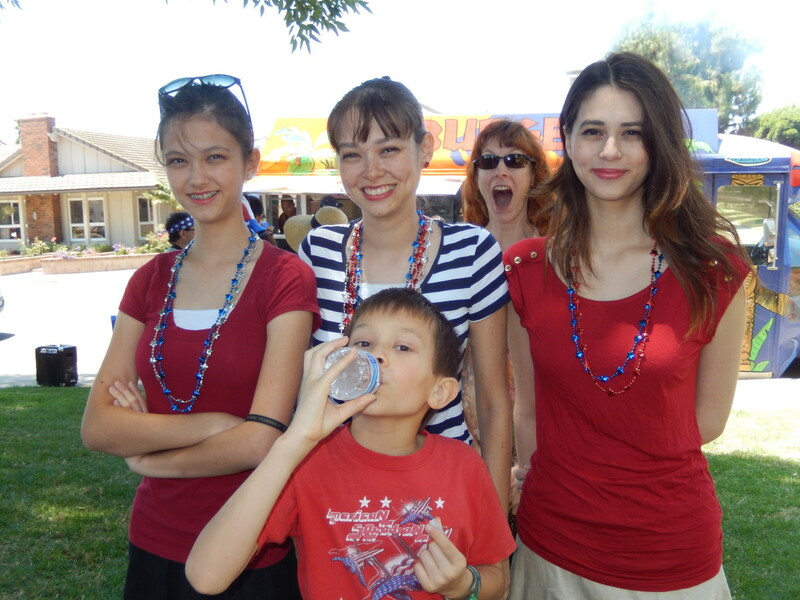 Lizzie, Nicole, Jeri (back), Joanna, and Josiah (front) Waiting for Food in Front of the TK Burgers Truck. Click photo for full size. 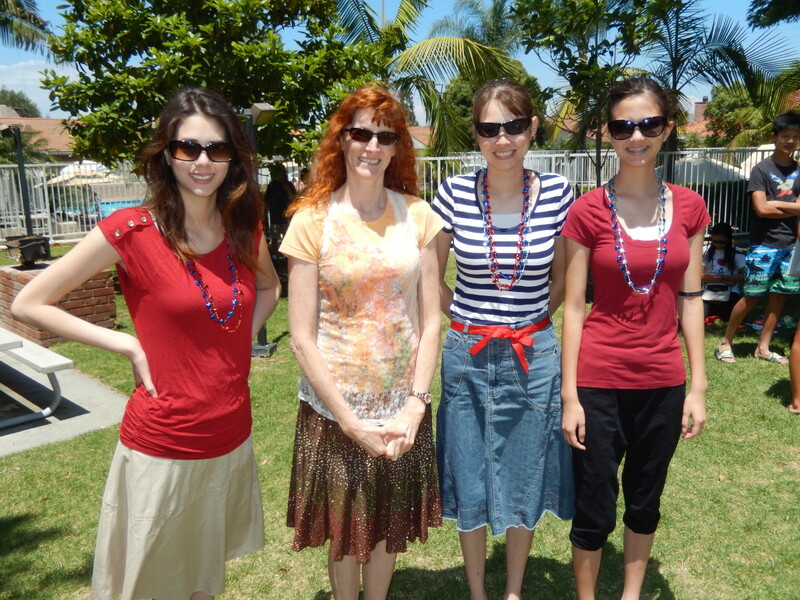 Joanna, Jeri, Nicole, and Lizzie Outside of Greenbrook Pool at Fourth of July Celebration. Click photo for full size. 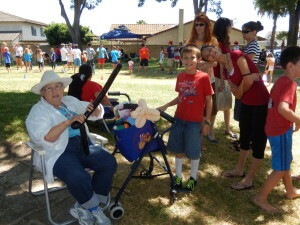 Josiah Getting a Balloon Sword. Click photo for full size. 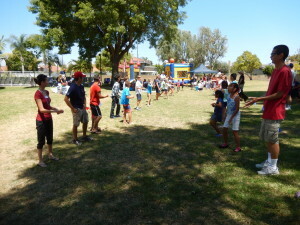 Lizzie and Tim in the Balloon Toss. Click photo for full size. 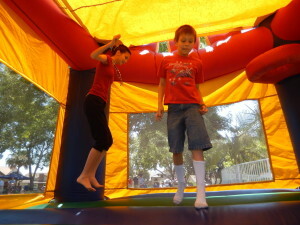 Lizzie and Josiah in the Bounce House. Click photo for full size. 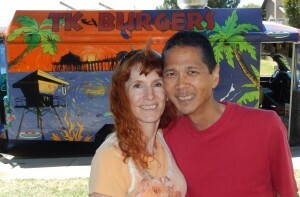 Jeri and Tim in Front of the TK Burgers Food Truck. Click photo for full size.